Let’s get the nitty gritty parts out of the way first. The V10 runs on a hexa-core Snapdragon 808 processor coupled with 4GB of DDR3 RAM (note, NOT DDR4), an Adreno 418 GPU and comes with 64GB of built in storage right out of the box! That’s not it though, there is more. We get the same awesome 16 megapixel camera from the G4 with f/1.8 aperture OIS 2.0 along with electronic image stabilization and the laser autofocus tech. Here is where things start to get interesting, on the front there is not one but TWO 5 megapixel cameras. The cameras can be used to take selfies at angles of 80 degrees or a whopping 120 degrees. On the back of the device LG has added a fingerprint sensor on the home button. For those concerned, LG’s popular Knock Code is still available. The V10 has even more to show off in the form of a large 5.7 inch quadHD IPS Quantum Display with a resolution of 2560 x 1440 and a pixel density of 513 pixels per inch. Right above this display is what makes the V10 very different from any other smartphone, a secondary display. This secondary display is also IPS Quantum dot and measures at 2.1 inches with 160 x 1040 resolution(513ppi). Aside from these LG also has put a removable back on the smartphone thus granting access to the removable 3,000 mAh battery and the microSD card slot. The microSD card slot is something special too because it can support cards up to ONE TERABYTE! Granted cards like that are not widely available commercially at any reasonable price, this offers some fitureproofing for a very long period of time. The device measures in at 159.6 tall, 79.3mm wide, 8.6mm thin and weighs 192 grams. It is very clear what LG is trying to do here. The company knows that there are some obvious things that consumers still want like the removable battery and micoSD support so they are pushing those with their devices and trying to please the crowds. Sales reports of the G4 have yielded great results and LG attributes some of that to them listening to what consumers want. LG also made some more subtle efforts to keep us happy by making the device thick enough to hold a large battery whilst at the same time not compromising on feel. This also allowed them to keep the camera flush with the back so no annoying camera bumps. Durability has been something many consumers have grown an interest towards and LG has catered to that as well. The V10 has an SAE grade 316L stainless steel chassis (the same metal is sued to make surgical tools and high end watches) unlike the aluminium bodies of most other phones. Stainless steel is much stronger than what’s widely used by its competitors and allows it to be rated MIL-STD-810G Transit Drop Compliant for shock. The top, bottom and the back of the phone is composed of Dura Skin which is a silicon based material that is resistant to scratching and nicks and also offers shock absorbing capabilities. LG tested the smartphone by dropping it many times from a height of 48 inches and according to them the phone survived. In short, this thing should be able to survive a drop with ease. LG did some neat things with the camera this time around. 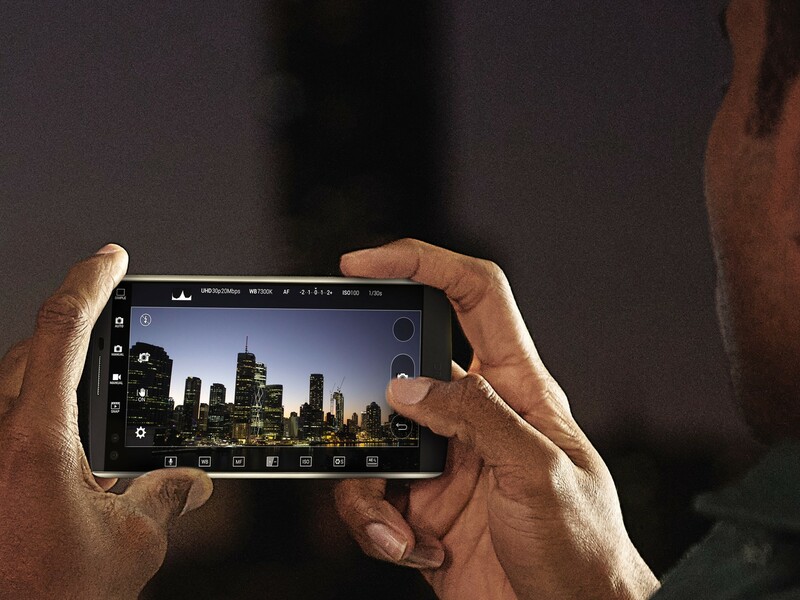 The V10 is the first phone with manual controls for when in video mode similar to manual controls for taking pictures. 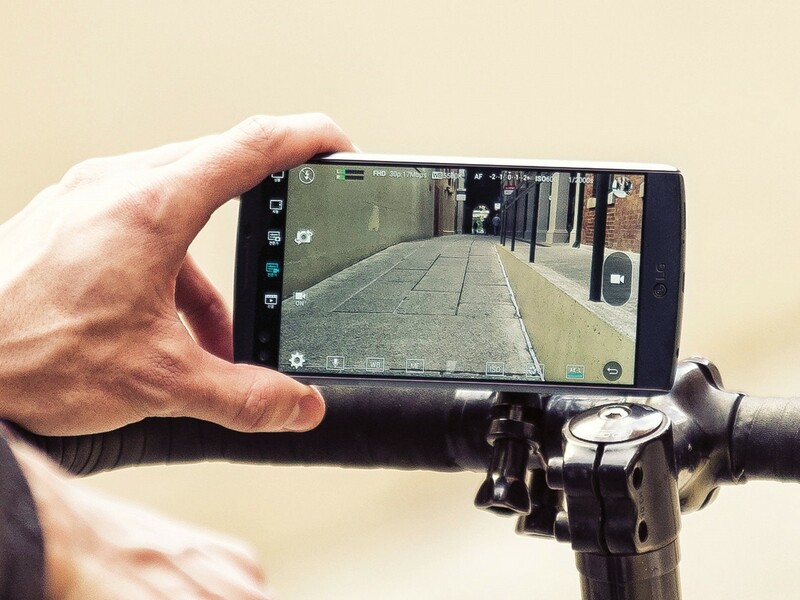 The device even allows the user to utilise these controls on the fly while recording video! Other than that there are features that allow you to choose from which microphone you want audio to be picked up and also a wind filter that helps reduce the noise generated by wind. The secondary display is set to “always on” by default in a move to conserve battery life but it can be switched off. The display has shortcuts to your chosen applications, displays notifications and messages and is basically aimed at boosting productivity. I personally think that having the display on the bottom instead of the top of the phone would be much more intuitive but we might have to wait for the next version to get that. The display can be set to display the weather, date, time etc whilst also being able to swipe and reach your apps. The display is a very cool and innovative concept; imagine watching a movie or playing games and not having any notifications interrupt the main display. Those living in Korea will be able to get their hands on the V10 this month whilst interested buyers in USA, UK, China, Latin America,the Middle East and select other Asian countries will get the device soon after. The device ships with Android 5.1.1 Lollipop and will get updated to Marshmallow early next year. We did not get any pricing details yet. The V10 will be sold in the following colours: Space Black, Luxe White, Modern Beige, Ocean Blue, Opal Blue. 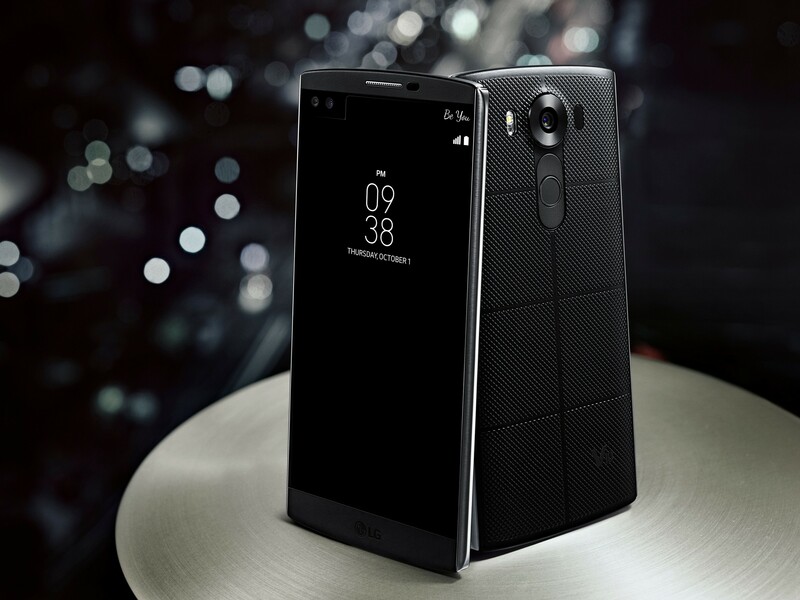 All in all, LG could have a big win in hand with the V10. 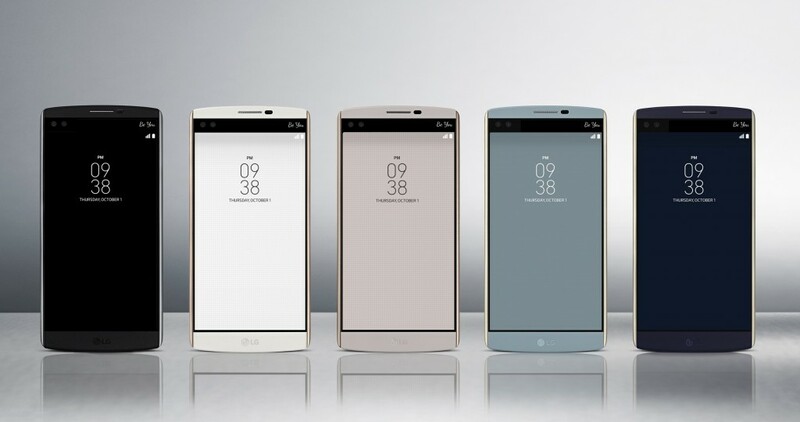 It comprises the best of LG and offers up what consumers have been missing in other 2015 flagships. If LG can get their marketing done right and the V10 performs well in reviews, they could get a larger share of the mobile market. For now, we will have to wait and see how the device is priced and observe if LG can seal the deal with this one.